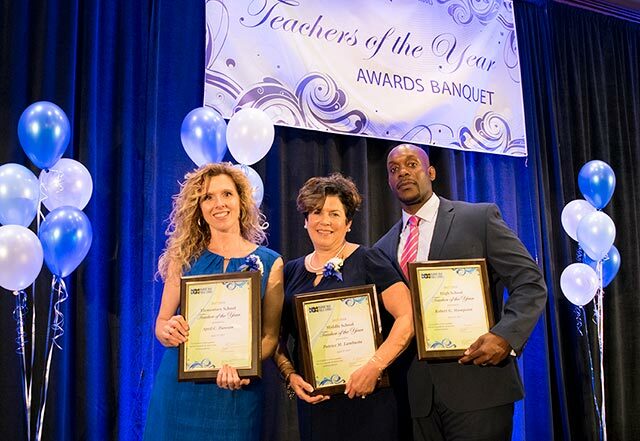 (May 1, 2017) - Newport News Public Schools' 2017-2018 Teachers of the Year were honored at a banquet April 27. 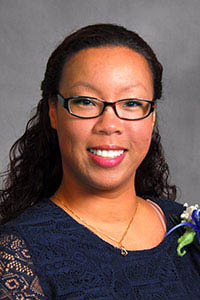 The evening also brought the announcement of the elementary, middle, high school and NNPS Teacher of the Year. 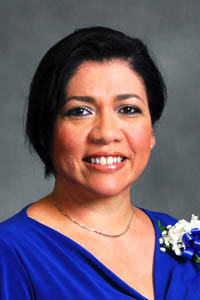 View all schools' Teachers of the Year. 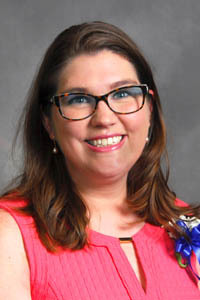 April Dawson, a fourth-grade talented and gifted teacher at General Stanford Elementary School, is named the Division and Elementary School Teacher of the Year. 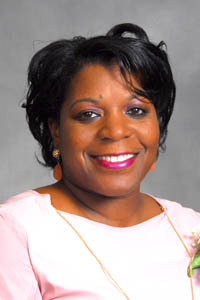 Dawson has 15 years of experience in education - all in Newport News. Dawson's philosophy of teaching is simple, yet powerful: every child is capable of success but teachers must realize that while all children are not the same, they are reaching for the same goal. That goal, she says, is to be a contributing member of society, capable of using problem-solving techniques and effective communication. She prides herself in the way her classroom community reflects acceptance and confidence. Dawson teaches her students to be brave enough to be themselves, make mistakes and grow from each experience they embrace. "Asking a question or providing an experience is the most powerful teaching tool, because it enables the children to own, alter or create the knowledge, rather than being told the information," shared Dawson. Dawson serves as a model teacher for educators new to the profession, the fourth-grade lead teacher at General Stanford and a National Elementary Honor Society Advisor. 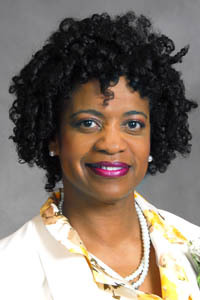 She holds a Bachelor's degree in childhood psychology from Christopher Newport University and she holds endorsements in elementary and gifted education. 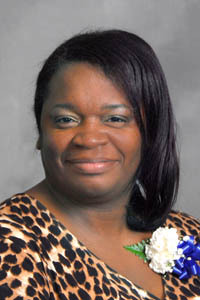 Patrice Lambusta, a librarian at Passage Middle School, is the Middle School Teacher of the Year. Lambusta has 16 years of experience in education. At an early age Lambusta knew she wanted to be a teacher. Her siblings served as her first students. After graduating from college, she served as a third-grade teacher for a year and then worked for a technology company. She returned to teaching and served as an English teacher before becoming a librarian. As the lead writing teacher at Passage, Lambusta encourages students to debate, question, and think, which has led to improved writing skills. She developed a more student centered library experience when she organized the library by book genre, which resulted in more students selecting books independently. She has also transformed the library into a "learning commons" by adding makerspaces, educational learning centers with tools that students can utilize to create and build. 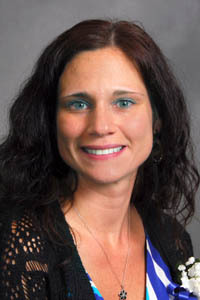 Lambusta earned a Bachelor's degree in elementary education from Rowan University and a Master's degree in library media from Longwood University. 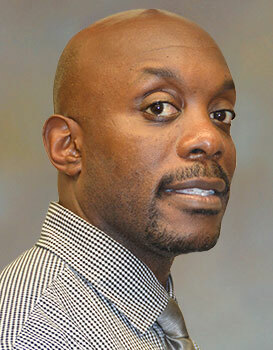 Robert Mompoint, a school counselor at Denbigh High School, is the high school teacher of the year. He has 17 years of experience in education. Mompoint says that school counselors have a duty to "ensure students are prepared to become productive, independent citizens who can be successful in the world of work, or at institutions of higher learning." He believes that the relationships he forms with his students have a great impact on their achievement and emotional wellbeing. Mompoint encourages his students to challenge themselves by taking rigorous classes, and he teaches them to push themselves beyond what they think they can accomplish. He connects with his students and ensures that they know he cares. He visits their classes, calls their homes and supports their activities. 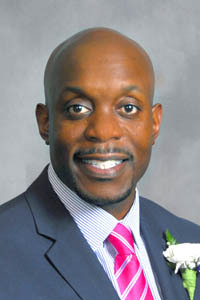 A middle school principal encouraged him to pursue a career in education. 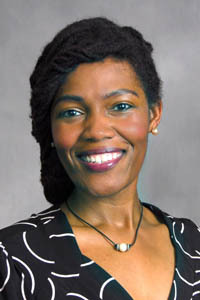 Prior to becoming a school counselor, Mompoint served as a special education teacher for a middle school and a high school. 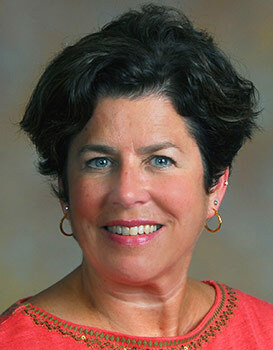 Mompoint serves as a coordinator for GEAR UP, Gaining Early Awareness and Readiness for Undergraduate Programs; and as chairperson of the NNPS School Counseling Advisory Committee. 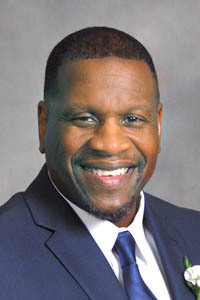 He holds a Bachelor's degree in physical recreation from Hampton University and a Master's degree in severe disabilities and community counseling from Norfolk State University. Division and Elementary Teacher of the Year April Dawson; Middle School Teacher of the Year Patrice Lambusta; and High School Teacher of the Year Robert Mompoint. Cassandra Pearson has 6 years of experience. Ms. Pearson strives to create an engaging and stimulating learning environment for her students. She integrates technology into the curriculum, and this year, she added a classroom museum to showcase her students' creativity. Both novice and veteran teachers have visited Ms. Pearson's classroom to observe teaching and learning in action. Stephanie LaFrance is the teacher of the year at Gatewood PEEP. She is an early childhood special education teacher with 11 years of experience. Ms. LaFrance exposes her pre-school students to various technologies to enhance their learning. She encourages her students to use problem-solving techniques to grow their awareness of how special and smart they are. Wendy Mihalcoe is a pre-school teacher with over 13 years of experience. Ms. Mihalcoe gives her students voice and choice during learner experiences, giving them the opportunity to take charge of their learning. These experiences give her students the opportunity to collaborate and solve problems. She says it's been amazing to see their growth. Don Smith is the teacher of the year at Marshall Early Learning Center. 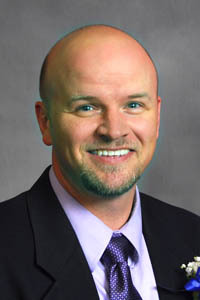 Mr. Smith is a kindergarten teacher with 15 years of experience in education. Mr. Smith believes that students learn and grow in an environment that fosters trust and confidence. To ensure that his students are college, career and citizen-ready, he teaches them that they are part of a community, and he develops their social abilities. 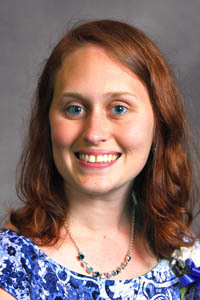 Sarah Oberhofer is a preschool teacher with 11 years of experience in education. Ms. Oberhofer exposes her students to skills that will help prepare them for the future. She says communication and collaboration help them learn and work together; and creativity and problem-solving help them gain independence and take ownership of their potential. Dionne Ellis is a music teacher with 18 years of experience. 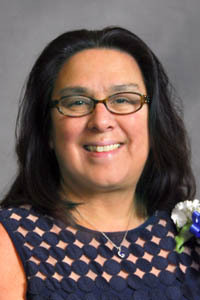 As a related arts educator, she teaches across the curriculum through song, including connecting the War of 1812 with why the Star Spangled Banner was written. Ms. Ellis says that building relationships and developing mutual trust creates an atmosphere for student learning and retention. Melissa Mygas is a third grade lead teacher, who has 8 years of teaching experience. Ms. Mygas holds her students to high standards and she encourages them to reach for goals they may not have ever dreamed of. She serves as an instructional leader at Carver and she leads small group instruction with students in her colleagues' classes. Kimberly Rodgers is a third grade teacher with 9 years of experience. Ms. Rodgers believes in developing youth while educating them. She arranges her "happy place," or classroom, for her students so that they feel welcome and valued. She strives to be the kind of teacher that students will remember as a motivator who made them feel like they could change the world. 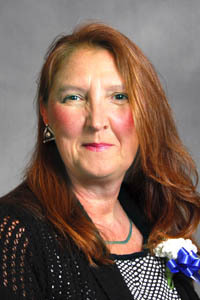 Jeanette Dail is a teacher of students with disabilities. She has 34 years of experience. To ensure that her students are college, career and citizen-ready, Ms. Dail uses real-life situations to foster student learning. Math word problems are presented as real-life situations, like determining the dimensions of a room to purchase enough carpet. Ms. Dail says her goal is to bridge the gap for her students' success. 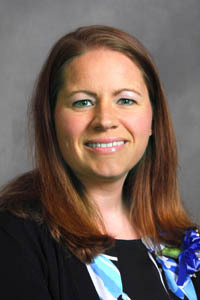 Bridget Lester is the teacher of the year at Discovery STEM Academy. Ms. Lester is a special education teacher with seven years of experience. Ms. Lester says her job is to help students set and reach their goals. She uses context clues to stimulate learning. Recently her classroom became a crime scene. Her students used clues to solve the case of the missing cupcakes. 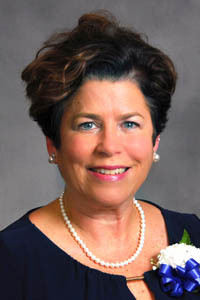 Diana Furman is the teacher of the year at Dutrow Elementary School. 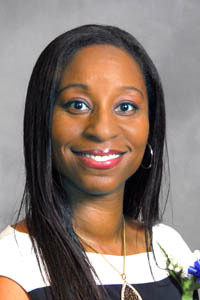 Ms. Furman is a third grade lead teacher with 14 years of experience. Ms. Furman employs real-life learning opportunities to engage her students in discussions that make their learning more meaningful. Through community based projects, her students are collaborating and measuring their progress. 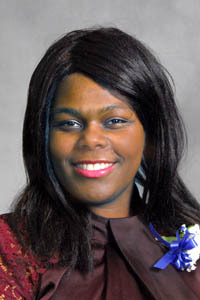 Lynnese Bland is a fifth-grade teacher with 4.5 years of experience. 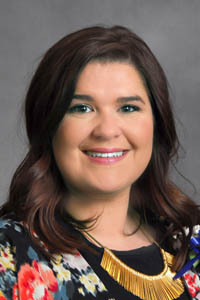 She strives to ensure the progress of each of her students through enriching learning experiences, and creative teaching techniques. Ms. Bland has developed a great rapport with her students and they know that she loves them. 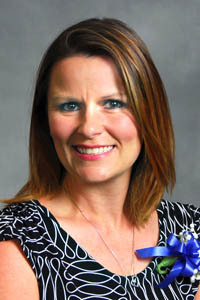 April Dawson is representing General Stanford Elementary School as teacher of the year. She is a fourth grade talented and gifted teacher with 15 years of teaching experience. When you walk into Ms. Dawson's classroom, you will often find a brain challenge taking place. Her students experience at least one real-life scenario each day. She believes that by building a safe classroom where mistakes are okay, students have the courage to take charge and make strides. 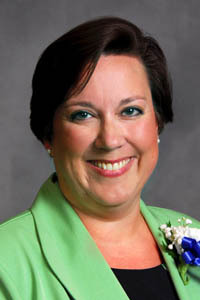 Christy Anderson is a kindergarten teacher with 24 years of teaching experience. Ms. Anderson says her mission is to motivate, inspire, encourage and educate her students. She molds her students into lifelong learners by teaching critical thinking skills and inspiring them to be inquisitive discoverers. Ms. Anderson gives her students voice and choice. 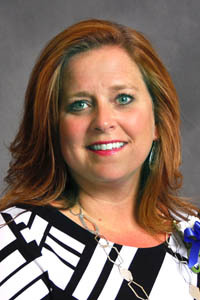 Carrie Nichols is a fifth-grade teacher with 14 years of experience. Ms. Nichols uses inquiry based learning to give students the opportunity to become their own problem-solvers, and work collaboratively. She describes her class as a family, caring for one another, celebrating accomplishments, and working together to accomplish a common goal. 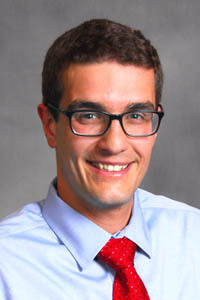 Matt Allen is a fifth-grade teacher with six years of experience. Mr. Allen advances student achievement by providing challenging activities and situations that allow students to explore their limitless abilities. He gives students the opportunity to be successful, which builds their confidence and gives them a positive mindset for lifelong learning. Mr. Allen also serves as a model math teacher. Stephanie Wheeless is a second grade teacher with three years of experience. Ms. Wheeless finds joy in making connections to her students' learning. During science and social studies her students become researchers, historians, geographers and scientists. Her students also use Football math to learn double digit addition. This methods help students take responsibility for their learning and retain the information. 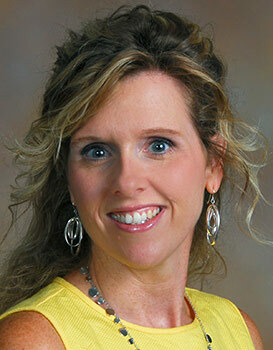 Lisa Newman is a National Board Certified second grade teacher with 20 years of experience. She serves as the youth development lead teacher at her school. Ms. Newman believes that learning begins by building meaningful and genuine relationships with each student. She says she doesn't just teach academics, she teaches her students how to live, laugh and learn, and become great people in the process. 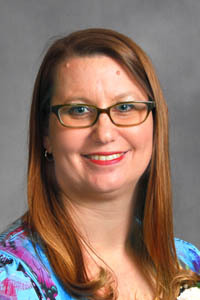 Angela Dart is a third grade lead teacher with three years of experience. Ms. Dart conducts conferences with her students to gain their insight and connect it to their learning. She works with each of her students to set goals, and reflect on their success. 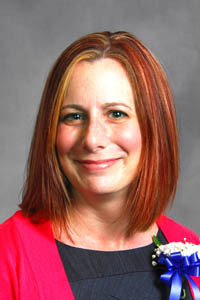 Melissa Texidor is a kindergarten teacher with 27 years of experience. Ms. Texidor provides her students with opportunities to help them realize their potential. By nurturing their self-discovery and offering them challenges to solve, she is fostering their learning and inquiry. Ms. Texidor believes that the path for college begins in kindergarten, so she cultivates leadership, management and self-sufficiency. Audra Frazier is a fifth-grade reading and writing teacher with 14 years of experience. Ms. Frazier believes that you have to focus on the whole child to ensure their success in life. Her students' academic achievement is directly tied to their relationships with her and to each other. Ms. Frazier says when students are confident, they always give their best. Holly Berry is a first grade teacher with four years of experience. Ms. Berry believes that building relationships with students is the cornerstone to promoting student achievement and growth. She ensures that her classroom is a warm and welcoming environment for her students so that they feel safe, happy, comfortable, and ready to learn. Melissa Roe-Jones teaches kindergarten through fifth-grade students reading and writing skills. She has 20 years of experience in education. Ms. Roe-Jones works collaboratively with teachers and coaches to plan reading and writing lessons, review performance data, and develop teaching strategies. As a book pusher, she has cultivated a new love for classroom libraries in her building. 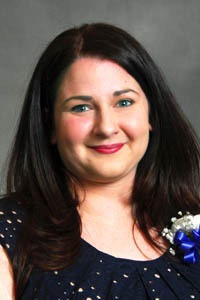 LeahRose Gibson is a music and choral teacher with 13 years of experience. Ms. Gibson's students thrive on variety and challenge as they utilize an array of musical instruments, activities on the Smart Board, and various field trips and events. Her students learn how to represent themselves and gain great confidence during their performances. Ms. Gibson says she is privileged to touch the life of nearly every student at Richneck. Sheldon Stuart is a second grade teacher with five years of experience in education. She believes in teaching students to love and respect one another and their community. She says it's vital to create a classroom environment where students feel safe, loved and motivated. Ms. Stuart is dedicated to empowering her students to take responsibility for their own learning. 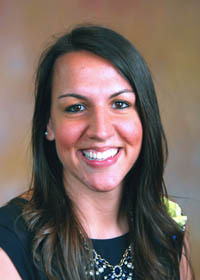 Ashley Nemo is a second grade lead teacher with six years of experience. Ms. Nemo says her job is to make connections to engage the hearts and minds of her students. She provides fun provocations and STEM activities, math talks, class meetings, book reviews, and Readers Theater to engage her students. She fosters her students' strengths and expands their interests. 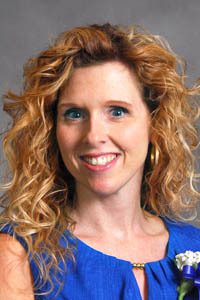 Jennifer Mulrine is a health and physical education teacher with 13 years of experience. Ms. Mulrine says that teaching students how to live healthy, active lives is her priority. She teaches them how their bodies work, what is needed to fuel them, and how to make healthy choices. Ms. Mulrine exposes her students to a variety of physical activities to keep them motivated and moving. 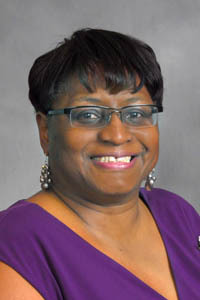 Dorothy Willis teaches fourth grade and has 29 years of experience. 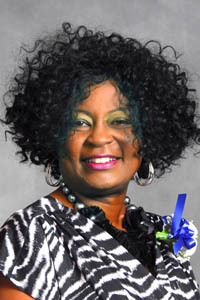 Her administrator says that Ms. Willis makes a positive impact on her students and colleagues. She inspires her students and has created a positive classroom environment where her students grow academically and socially. Ms. Willis' enthusiasm is contagious, and she shows her students that they can always smile on their toughest days. 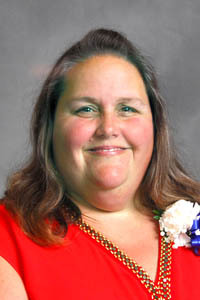 Amanda Lucas is a fourth grade teacher with 25 years of experience. Ms. Lucas says that her mission is to make sure that her students' tool kits are packed with all the tools they need to soar. Her administrator says that Ms. Lucas always strives to help students perform their best, and she is successful at doing so because of her outstanding ability to build meaningful relationships with her students. Melanie Pauker engages her students to ensure active learning. She helps her students see that the learning process never ends, but that by following their natural curiosity, learning can evolve into new findings and expand to new topics. As the youth development leader, she started Cougar Cares, a school-wide service learning program. 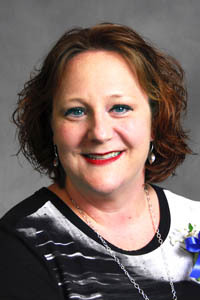 Sarah Garrity is an instructional technology coach with 21 years of service in education. Ms. Garrity collaborates with teachers to build lessons that utilize technology to prepare students for life after graduation. She recently started a makerspace club, that encourages students to work independently to find solutions to real world problems. Students imagine and build solutions for different tasks, encouraging them to become problem-solvers and creative thinkers. Sara Tartala is a 7th and 8th grade English as a Second Language teacher. She has 10 years of experience. Ms. Tartala says her goal is to ensure that her English language learners are prepared for high school. 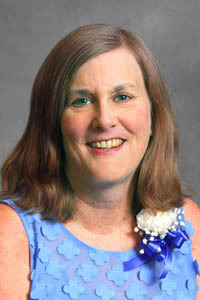 She uses a variety of techniques to advance her students reading and writing skills, with much success. Many of her students have made two years of reading progress in one school year. Ericka Godwin is an 8th grade lead English teacher with three years of experience. Ms. Godwin prepares students to be effective and powerful writers. 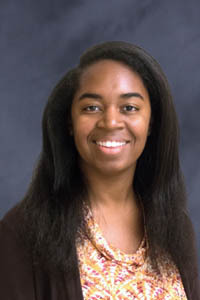 Using a variety of techniques, her students have developed essays that are fluent and thorough. 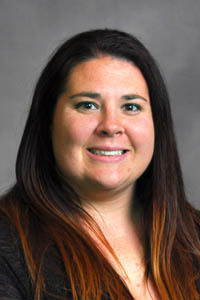 Her administrator says that Ms. Godwin has also taken on the role of girls basketball coach, expanding upon the positive relationships that she has developed with students across the school. She also serves as a mentor and after-school tutor. Laura Rec is a 6th grade science teacher with 13 years of teaching experience. Ms. Rec believes collaboration and thinking critically is key to student success. Her student scientists form groups for lab assignments, share ideas and present their data together. She encourages her students to find solutions, and she reminds them that there isn't always a perfect answer, that learning is a process. Patrice Lambusta is a library media specialist with 16 years of experience. As the writing lead teacher, Ms. Lambusta advances students by encouraging them to debate, question, and think, which has led to improved writing skills. This year she organized the library by book genre, and more students are selecting books independently. She has also created a makerspace where students can create and work on projects together. Shae Gibson provides her students with opportunities to explore careers for bilingual citizens. She believes that learning a second language better prepares them for global success. Her administrator says that Ms. Gibson's classes are always interactive. Her students are seen chanting and dancing to their vocabulary as they move through the building. She truly motivates students. 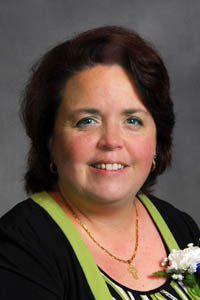 Lori Buck teaches advanced placement and world history one, and AP US history. She has 11 years of experience in education. Ms. Buck says teaching is not a job, it's a lifestyle. She consistently seeks ways to engage her students to make their learning more interesting and meaningful. Ms. Buck also serves as a social studies model teacher and a lead teacher. Robert Mompoint knows his students. He knows their strengths, their weaknesses and their aspirations. He encourages them to challenge themselves by taking rigorous classes, and he teaches them to push themselves. He forms relationships with his students, so that they know he cares. Mr. Mompoint visits their classes, calls their homes and supports their activities. 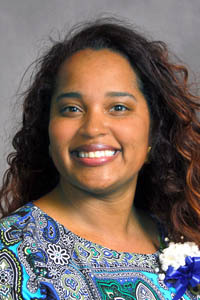 Temese Willis is a biology and earth science teacher with 11 years of experience. She uses inquiry based learning to motivate her students. Her students participate in school and citywide STEM events to connect learning outside of the classroom. Ms. Willis says that partnering with students and encouraging them to assess their own learning, gives them freedom to explore and advance their achievement. 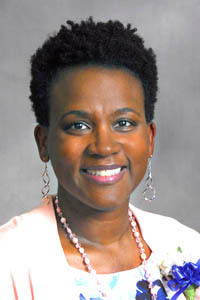 Mia Stephens teaches economics and personal finance and has 19 years of experience in education. 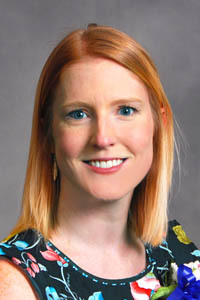 Through innovative lessons, her students learn how various economies and markets operate, and how the US economy is interconnected to the global economy. Her students also increase their financial literacy, giving them life-long decision-making skills. Ms. Stephens also connects students with jobs, where they learn valuable workplace readiness skills. Brandon Traner teaches honors geometry, math analysis, and advanced placement statistics. He has 15 years of experience. Mr. Traner sets high standards for his students, with much success. Many of his students earn qualifying scores for college placement. His students are learning more than math in his classes. They learn to set goals to prepare them for college and beyond. 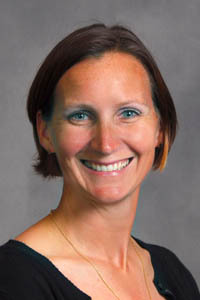 Chrissie Wilson teaches 9th grade pre-IB, and 11th grade Advanced Placement and honors English. 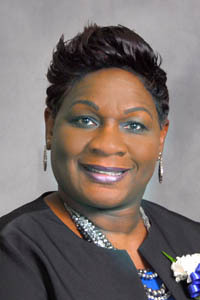 She is a National Board certified educator with 12 years of experience. Ms. Wilson says the best way to support student achievement is to work as a team with open hearts and minds. She encourages her students to see their potential by giving them the tools to think critically and argue persuasively. As the Freshman lead teacher, she ensures that students have a successful high school transition. 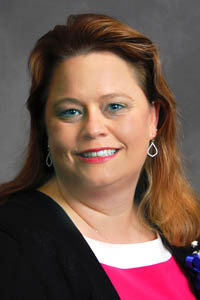 Tina Shorter teaches personal finance, principles of business and marketing, and computer information systems. She has 13 years of teaching experience. She incorporates real-life examples into her curriculum. Her students focus on the "whys" and "what ifs" to foster their own learning. Ms. 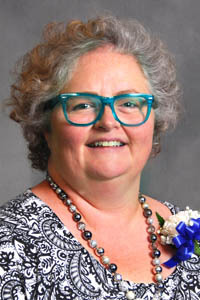 Shorter says it is rewarding when students connect the content to their lives.